This 60° high performance blade is used for cutting the thickest materials. It is excellent for use with sandblast, reflective and heavy floor laminate materials. 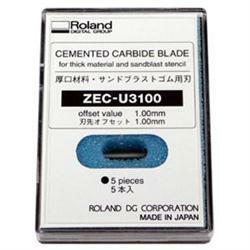 The Roland part number ZEC-U3100 is compatible with all Roland vinyl cutters and printer/cutters. This pack contains 5 blades.